We are SO excited to be a part of helping Ashley for the Arts achieving their goals of giving back to their community! In 2017, Ashley for the Arts raised more than $425,000.00 for over 40 non-profit organizations! Oh My Gosh! Started in 2009, the event has grown and developed into a weekend of inspiration. Hosted annually at Memorial Park in Arcadia, WI. All weekend long you will find loads of music entertainment, from local high school performers to international super-stars. Art show, car show, hot air balloon launches, craft vendors, food vendors, 5k run/walk and the list goes on. 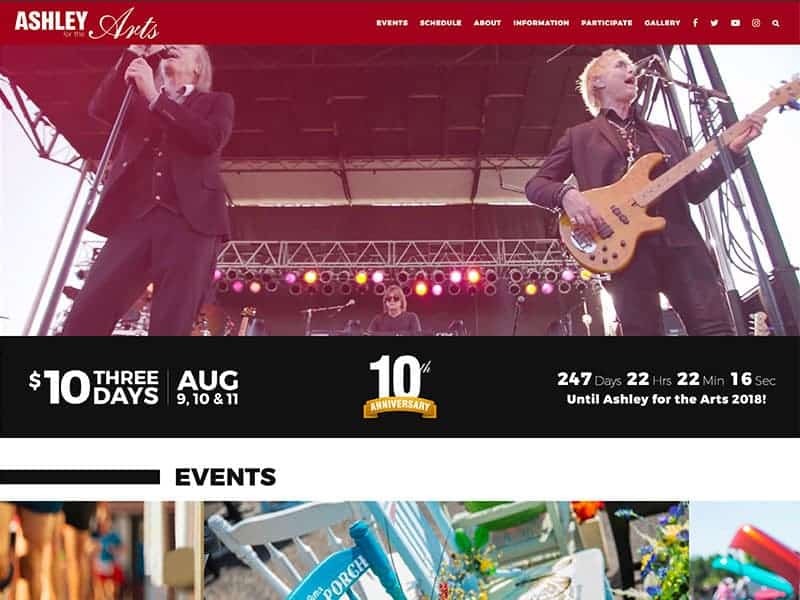 As the word spreads about what a fantastic event Ashley for the Arts is, the demand for an updated eye-catching super functional site was needed. Our web design team created a new look that incorporated the power of photography and video while applying easy navigation for site visitors. Web site visitors can easily find out when events are, who’s performing, get answers to popular questions and get connected with social media. The strong use of photography and video communicates what the words cannot. And for the team at Ashley, making changes and adding updates can be done easily and whenever they need. Let our team help you communicate and inspire your customers! Contact Us for more information.